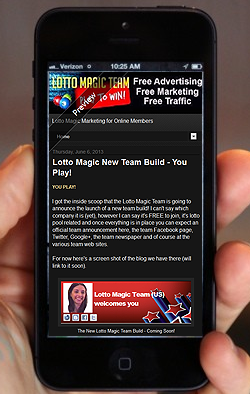 The Lotto Magic Blog is now formated for Mobile! As of tonight this team marketing blog is formatted for mobile viewing! If you're viewing this on your iPhone then you already know that, if you're viewing it on your computer you can check it out on your mobile. It's really no different then what you're viewing right now... only smaller of course. Also, the new team domain name of Lotto Magic Blog Dot Com is now redirecting visitors to this blog automatically. 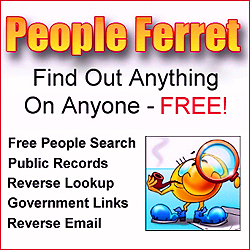 I could put a link up above but you'd end up in a very "irritating" loop while being redirected back to this blog but sent to the main (home) page, yea that wouldn't be good huh? Click the iPhone image for the team build info! I also heard from a little birdie that another Mega has joined the ranks today, I'll post that this weekend or see if when Whit is going to tweet it. Or we'll just both post, how about that! Have a nice and relaxing weekend there! Start your own home business? Do it! The Lotto Magic Newspaper - Grab yours free too! Lotto Magic Team Advertising on Facebook! Lotto Magic New Team Build - You Play! The New "What is a Lotto Pool" Team Site is Live!